After her 11-year-old brother was diagnosed with Wilms tumor, a type of kidney cancer, Athraa Hannawa, 22, decided to use her passion for sociology to understand why certain populations are more likely to get cancer. Hannawa started college as a biology major, but quickly realized it wasn’t the right fit for her when she found herself bored of the material. 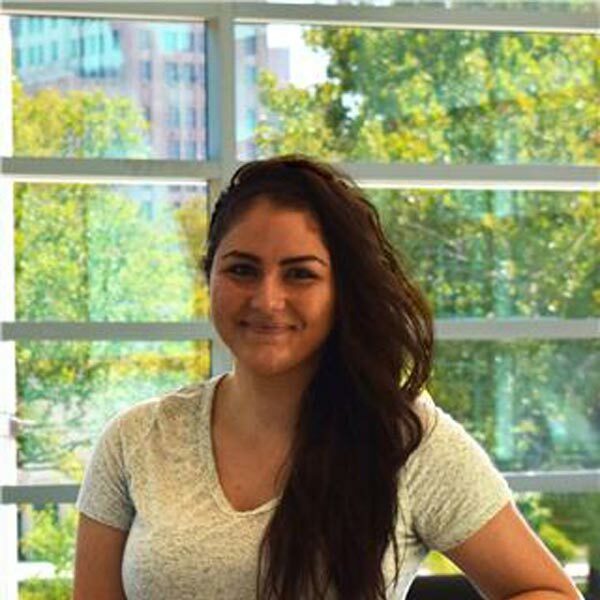 Hannawa soon learned that she enjoyed the research aspect of sociology and decided to dedicate her time to figuring out why the veteran population is being diagnosed with cancer at a higher rate than most. This research hasn’t been done before, and I’m so happy to have this opportunity. According to Hannawa, a lot of veterans return from military service with symptoms of post-traumatic stress disorder and use negative coping mechanisms such as drug or alcohol abuse to ease them. Her research focuses on finding links between this substance abuse and the development of cancer. Hannawa devotes a lot of time to her research. And while it isn’t easy, she enjoys the work. A bachelor’s in sociology is only a steppingstone for Hannawa, who hopes to become a doctor of osteopathic medicine, taking a more holistic approach to treating patients. Hannawa views her degree in sociology as a great foundation for her future in medicine, allowing her to understand different perspectives and develop new and innovative ideas.